Golf star Tiger Woods was arrested on a drink-driving charge in Florida early on Monday morning, police say. Police recorded the arrest at 07:18 local time (11:18 GMT). The golfer was released a few hours later, records from Palm Beach County police show. He was arrested in the town of Jupiter at around 03:00 local time, media reports say. He has not made any comment. It specifies an unlawful blood alcohol level and says that he was released on his “own recognizance”, meaning he promised in writing to co-operate with future legal proceedings. 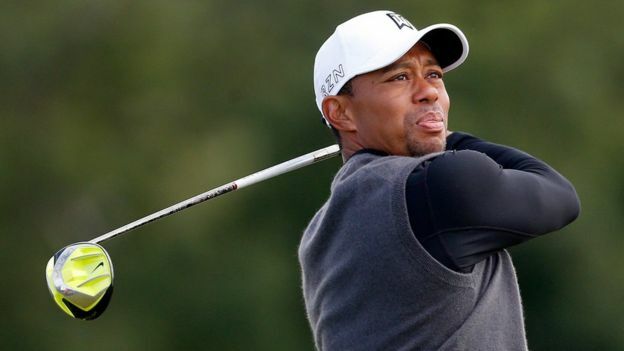 The 41-year-old golfer has been recovering from recent back surgery and last blogged about his health on 24 May. The mugshot shows a dishevelled Tiger Woods, bleary-eyed and unshaven – just the sort of image he would not want associated with himself in public. The picture will haunt him throughout these proceedings and beyond. This is someone who has put back together his public life after that epic fall from grace with all the news of the extramarital affairs that broke in 2009. What we gather from someone who has a jealously guarded lifestyle in terms of his privacy is he spends most of his time playing computer games. We know he speaks glowingly about being a father and looking after his children. He’s divorced and shares custody of his children and that’s pretty much all we know of Tiger Woods’ lifestyle at the moment, other than he says he wants to return to professional golf once this recovery has been completed. Does golf need him as much as it once did? Perhaps not. A whole generation of golfers, with Rory McIlroy at the vanguard, have now come through. But Woods remains a huge box-office draw. Golf has suffered in his absence in recent years but it is getting used to the fact that he’s unlikely to come back right at the very top of the game. The golfer lost several sponsors over the scandal and took a break from competitive golf. He and Elin Nordegren later announced their divorce.